It’s a simple question with a lot of answers. 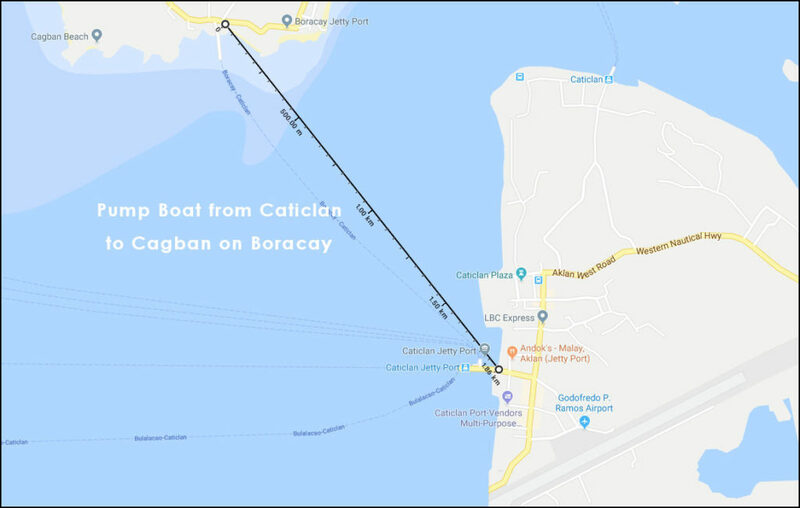 How to get to Boracay? Here’s some handy advice. If you’re coming from an international destination we would recommend starting with the easy part – an airline ticket. You can price shop these tickets by finding the cheapest airport to connect to. Usually, reasonable ticket prices are either out of Clark International Airport or Ninoy Aquino International Airport – Manila. Many of the larger international carriers fly into these airports. Some of the discount airlines you can price shop your ticket with, are Air Asia, Cebu Pacific, and Tiger Air. These days, many of the air carriers fly directly to either Kalibo or Caticlan from international destinations. These will be the most convenient flights and save you a lot of time on your way to Boracay Island. Travelers arriving in Kalibo will exit the terminal into a large parking lot area. From here you can find vans and buses going to Boracay – you will need to choose a service. Make sure to choose accredited transport that has permits to operate in the airport. Always beware “backyard” transportation with inflated rates. My Boracay Guide does offer highly reviewed & accredited transportation to Boracay (shocking, we know!) and you can check that out here if you’d like to see prices and details. Whether you landed in Kalibo or landed directly in Caticlan, everything must go through the Caticlan Jetty Port. 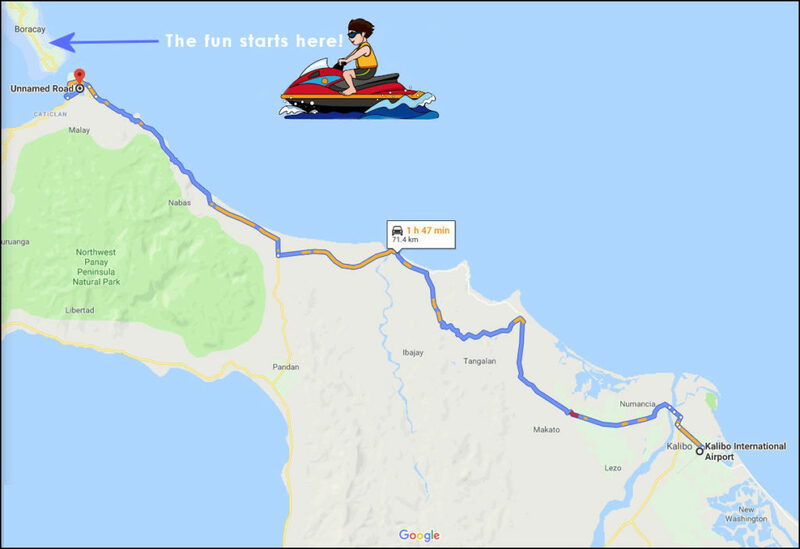 If you want to know how to get to Boracay in 2019 there is one important piece of documentation you will need. This is a voucher from an accredited hotel that has gone through the necessary compliance paperwork to do business freely on Boracay. Specifically, The hotel should be on the list of DOT approved hotels. You can find the updated list of accredited hotels on our website here. Hotels are being approved all the time, so if you don’t see your hotel on the list, they might still be approved. In this event, ask them, to be 100% certain. A simple “printed at home” hotel voucher from an online travel agent such as booking.com or agoda.com is good enough to get you through. Everyone needs to take a pump boat from the jetty port in Caticlan. When you line up to buy your boat tickets, you also need to visit the window to pay the jetty port terminal fee and the environmental fee. After this, you need to go through a security check. Boracay always has many arrivals and sometimes this line can be…. a little frustrating. For a very reasonable price, My Boracay Guide has Caticlan Jetty port experts who work out of here on a daily basis. We can get you through faster and carry all your bags. (I use this service myself every time.. and honestly couldn’t live without it) If you’d like to know more about how we can get you to Boracay much more quickly click this link. It opens in a new browser window. The pump boat ride takes about ten minutes, congratulations – you’ve arrived on Boracay. From here you need to get to your hotel. There are some tricycles waiting which are ok for solo travelers. Larger groups generally charter an air-conditioned van. This entry was posted on Monday, April 8th, 2019	at 9:42 am	and is filed under Guides, Recent	. You can follow any responses to this entry through the RSS 2.0	feed. You can skip to the end and leave a response. Pinging is currently not allowed.